This is one of the later issues (No. 26 Spring 1993) of Emigré that was published in the large format. Fairly soon after this it went to a smaller journal like publication. Interestingly this coincided with a shift in graphic design writing. A move away from pure design expressions and visual exuberance to critical theory and the rapid intellectualising of graphic design. The digital revolution was in full swing and digital type and challenging the traditional rules was the norm. Endless debates raged about legibility and the 'cult of the ugly' and we had a new set of design superstars such as David Carson (End of Print was published 1995). It was an interesting time to be a design student. The large format versions reflect the visual heyday of Emigré and most of the items in this earlier post are from that period. They focus on the design practice and artefacts rather than the discourse - they don't ignore the debates, rather they are about showing them, not waxing lyrically upon them. The smaller format editions cover the design debates in a more writerly fashion, a more traditional journal. 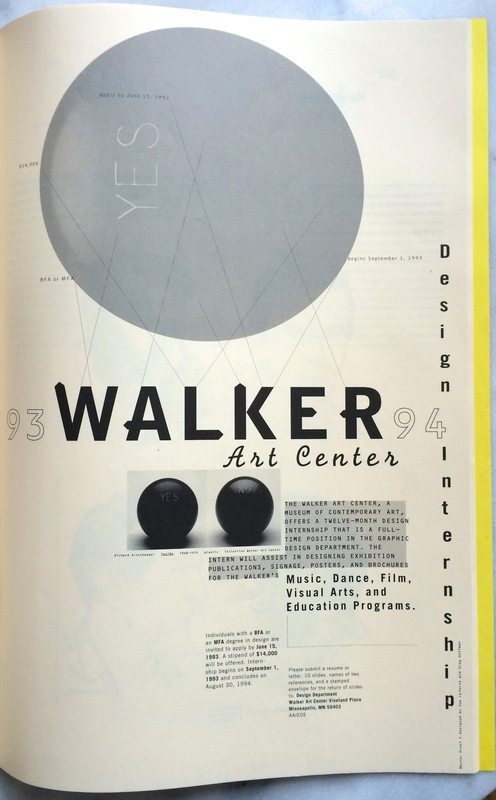 It was a period when graphic designers were very actively and intellectually engaged with their work and it's impact. I have the bound volumes from the small journal (issues 33-49) and will post about them some time in the near future.